Our collection of games like The Sims brings you the very best creative, sandbox and life simulation games, including free and online options. 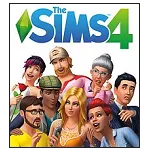 The Sims is a highly popular game series published by Electronic Arts (EA) that focuses on simulating real life while also offering a sandbox style experience due to the lack of defined goals and objectives. In The Sims franchise players create and control their own simulated characters (known as ‘Sims’) in a virtual world. With these virtual characters players can interact with the objects and people of the game world while also developing their own unique identities that includes goals, ambitions and personality traits. The games allow players to chase career aspirations, develop their dream life, grow a family, replicate their own current life or simply build beautiful houses to home your virtual characters. By simulating the challenges of life and offering a wealth of possibilities to players the franchise has become a leader in the genre. The life simulation games like The Sims here focus on offering an experience that will let you control the life, goals and relationships of one or several characters. Many of the games here are available online (no download) or for free, making them great alternatives to The Sims, Sims 2, Sims 3, Sims 4 and the countless expansion packs.